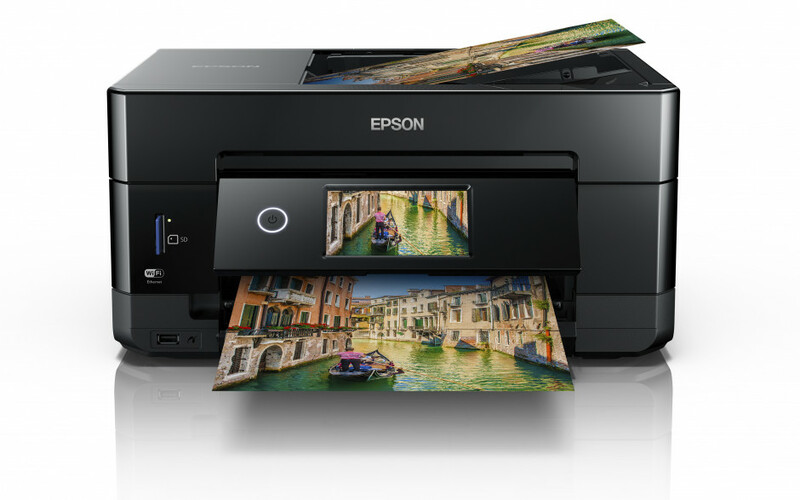 Epson has announced the latest additions to its lineup of inkjet printers for the home, featuring a sleek and compact aesthetic (XP-6100, XP-6105, XP-7100, ET-2710 and ET-2711). The Expression Premium XP-6100 series and XP-7100 are great options for households looking for a stylish and highly functional printer. These compact all-in-ones are great for producing both high-quality photos and sharp documents, while also being economical with double-sided printing and individual inks. Wireless printing and scanning is easy - laptops can benefit from Wi-Fi and Wi-Fi Direct, while smart phones and tablets can also utilise the compatible free Epson apps1- iPrint and Creative Print. A first for the Expression Premium range, the XP-7100 additionally offers a double-sided Automatic Document Feeder for multi-page scanning and copying. Epson’s latest cartridge-free EcoTank printers, ET-2710 and ET-2711, are the first entry level models to incorporate the re-engineered design with front facing ink tanks. This design offers improved usability and a more compact footprint. Typical of the EcoTank range, these printers will minimise refills and reduce ink costs by 90% on average2, printing up to 4,500 pages in black and 7,500 in colour from just one set of high-yield ink bottles3 It’s also easy to print from mobiles and tablets with flexible connectivity solutions including Wi-Fi, Wi-Fi Direct and compatible free Epson apps - iPrint and Creative Print1. The XP-6100, XP-6105, XP-7100 and ET-2710 will be on show at IFA 2018, Berlin, stand number 103, hall 21. 2. Average number of cartridges/savings for printing the number of pages using the bundled ink bottles with the EcoTank range, excluding hardware price. Comparison made on the average of the A4 EcoTank range versus the average of the top 10 best-selling models in Western Europe, in the period January – December 2017, as tracked by GfK. Printing costs calculated on the proportion of Standard and XL cartridges as tracked by GfK for the same reference period for the Western European market, using average retail prices. Ink cartridge yields as communicated by manufacturer’s websites. 3.Quoted yields are extrapolated based on Epson original methodology from the print simulation of Test Patterns provided in ISO/IEC 24712 based on the replacement ink bottles. Quoted yields are NOT based on ISO/IEC 24711. Quoted yields may vary depending on the images that you are printing, the paper type that you are using, the frequency of your prints and environmental conditions such as temperature. During the initial printer setup, a certain amount of ink is used to fill the print head's nozzles, therefore the yield of the initial bundled set can be lower.